Located in Buxton, Maine Tribute Kennels was founded in 1995 by MaryAnn & Stephanie Delano. 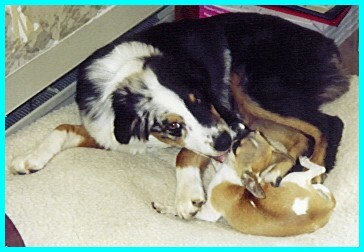 We show and breed the Australian Shepherd and Chihuahua. 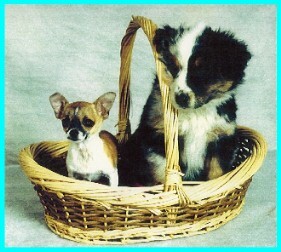 With both breeds we have successfully competed in breed and obedience. We take great pride in the fact that all of our dogs live with us in our home as our pets first. Our information is spred out, but We think that this format will help you find what you are interested in a little bit quicker than throwing it all on one long page! So have fun exploring and if you have any suggestions or questions you can sign our guestbook or e-mail us. Please visit these other Tribute Kennel sites!